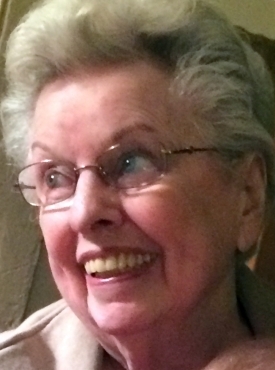 COOPERSTOWN - Virginia Foote, 85, of Cooperstown, passed away February 20, 2018, at Cooperstown Center for Rehabilitation and Nursing. She was born April 16, 1932, in Mahopac, the youngest of the seven children of John and Alvina (Blumer) Deinhardt. Virginia was a 1950 graduate of Mahopac High School. A dedicated homemaker while her children were young, Virginia then worked in retail prior to joining the Reader’s Digest magazine until her retirement. In 1989, Virginia moved to Cooperstown to be near her daughter and worked at The Brookwood School as well as Moon Dreams Gift Emporium. 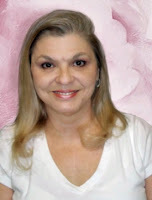 She was an avid reader, cat lover, flower gardener, and especially enjoyed spending time with family. Virginia is survived by her daughter and son-in-law, Kim and David Bliss of Cooperstown; daughter-in-law Carol Votta; and five grandchildren, Jennifer Rudemyer, Steven (Jackie) Rudemyer, Rachel (Kyle) Bliss Grup, Eric Bliss and Ethan Bliss, as well as great granddaughters Olivia Renaud and Kasey Grup, several nieces and nephews and her extended “Bliss Family”. Virginia was predeceased by her first husband, Andrew Rudemyer, her second husband, Robert Foote, her son, John Rudemyer, and all of her siblings. As a way to remember Virginia, her family respectfully requests that memorial gifts be directed to Catskill Area Hospice and Palliative Care, 297 River Street Service Road, Oneonta, NY 13820 or the American Heart Association, PO Box 417005, Boston, MA 02241-7005. COOPERSTOWN – Evelyn J. Gray, 78, of Cooperstown, passed away late Monday night, February 12, 2018, at Cooperstown Center for Rehabilitation and Nursing. A native of Cooperstown, she was born March 15, 1939, one of 13 children of Orlando and Nellie M. (Page) Bridger. Evelyn lived her entire life in the Cooperstown area, and for 30 years was employed by Eric Hill as a clerk for the Farm and Home Bargain Center located in The Stables on Main Street. She also worked for a time at Ron Brown’s factory store in the Doubleday Field parking area. Not one to join clubs and organizations, Evelyn instead took great pleasure in spending time with her family, and especially enjoyed playing cards with them. Evelyn is survived by four children, Barry D. Gray and his wife, Brenda Wedderspoon-Gray of Cooperstown, Brenda Lee Gray of Walton, Pamela Madrid of San Antonio, Texas and Bonnie Garcia of Lancaster, California; six sisters, Hilda Pomeroy of Fulton, Elizabeth O’Brien and Mildred Jennings of Cooperstown, Cora Petrucco of Cortland, and Wanda Laymon and Lois Smith of Toddsville; and many many grandchildren, great grandchildren, nieces and nephews. 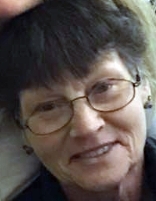 She was predeceased by her husband of 56 years, Gordon “Gordie” Lee Gray who died June 12, 2017; her two sisters, Gladys Welch and Wilma Higgins Dyer; and her four brothers, Chester, Herman, Frederick and David Bridger. For those who wish to remember Evelyn with a memorial donation, please consider the Cooperstown Emergency Squad, PO Box 322, Cooperstown, NY 13326, and the Cooperstown Fire Department, PO Box 1, Cooperstown, NY 13326. ONEONTA - Let us all remember the life of Barrie McKennan Boyle, who passed away at home on the morning of Feb. 12, 2018, following a prolonged illness. Barrie was the fourth child and second son of William Pickard Boyle and Jesse Jane McKennan. He was born Feb. 13, 1936, in Mt. Kisco and was raised in nearby Briarcliff Manor. Barrie graduated from Ossining High School in 1954 and then relocated to Hinman Hollow in Otsego County. While there, he met his first wife, Harolyn Alyce Hilton of Pulaski. They were married in January 1959 and settled in Cooperstown where Barrie found work at Bassett Hospital, his employer until his retirement in 1998. Barrie and Harolyn had two children, John Mirrell, born August 1963 and Ellen McKennan, born April 1965. Amicably divorced from Harolyn in 1971, Barrie was married to Florence Kyser of Oneonta from 1980 until her passing in 2016. He was also preceded in death by his parents; two sisters, Barbara and Virginia; and his daughter, Ellen. Barrie leaves behind his brother, William of Medina, Ohio; his son, John of Alameda, California; stepsons, Randall Kyser of Tallahassee, Florida and Ronald Kyser of St. Paul, Minnesota; and stepdaughter, Kathleen Daniels of Lost Creek, West Virginia; as well as a dozen grandchildren; five great-grandchildren; numerous nieces, nephews and friends. The Office of the Burial of the Dead with Holy Eucharist will be offered at 1 p.m., Saturday, Feb. 17, in St. Agnes Chapel at Christ Church, Cooperstown, with Father Dane E. Boston officiating. Interment beside his daughter and wife will be in Hartwick Seminary Cemetery. Friends and family may call to pay their respects from 4 to 6 p.m. Friday, Feb. 16, at the Connell, Dow & Deysenroth Funeral Home, 82 Chestnut St., Cooperstown. In lieu of flowers, memorial donations may be made to Catskill Area Hospice and Palliative Care, 297 River Street Service Road, Oneonta, NY 13820. ONEONTA - Mildred W. "Mimi" Lehman, formerly of Cooperstown, passed away Friday evening, February 2, 2018, in her residence at St. James' Manor in Oneonta. She was 96. When we discussed our mother's obituary with her, she responded, "just say she died". We feel the need to elaborate on that a little. A native of Delaware County, she was born November 2, 1921, in Trout Creek, one of six children of Clair L. and Mildred (Drake) Whitaker. After graduating from Delaware Academy in Delhi in 1939, Mimi attended the State Teachers College in Oneonta, and graduated from there with a bachelor's degree in education in 1943. Her first teaching position was in Baldwin on Long Island, where she taught for two years. In 1945 she moved to Cooperstown and began teaching 3rd grade at Cooperstown Elementary School. She later taught 2nd grade, and retired from teaching in 1976. Soon after she moved to Cooperstown, Mimi met Carroll Barnes Lehman, who had just started teaching science in the school system. On April 12, 1947, they were married in a ceremony at the First Presbyterian Church of Delhi, and then settled into their home on Walnut Street where they raised their three children. Mimi was a member and former Trustee of the First Presbyterian Church of Cooperstown, and after moving to Oneonta attended the First United Presbyterian Church (The "Red Door" Church). She was also a member and Past Regent of the Otsego Chapter, National Society Daughters of the American Revolution (NSDAR), the Cooperstown Women's Club, and volunteered for over 20 years at the Mary Imogene Bassett Hospital. In her leisure she enjoyed bowling and was on several area leagues. Mimi is survived by two daughters, Kathleen Werther of Latham and Barbara Rothermel and husband, Otto, of Oneonta; one son, Thomas Lehman and wife, Carolyn of Westminster, MA; eight grandchildren, Kimberly and Jay Werther, Jonathan, Brian and Kara Rothermel, and Thomas, Jennifer and Danielle Lehman; eight great grandchildren; and several nieces and nephews. She was predeceased by her husband of 52 years, Carroll, who died August 3, 1999, as well as all of her siblings, Dr. John Ogden Whitaker, DDS, LaVerne Whitaker, Annie Laurie Robinson-Ludington, Helen Whitaker Greene and Wanita W. Lewis. A Memorial Service will be offered at 12 Noon Saturday, February 10, 2018, at the First United Presbyterian Church (The "Red Door" Church), 2 Walling Avenue, Oneonta, with the Rev. Dr. Cynthia Walton Leavitt, pastor officiating. Mimi will be laid to rest later this Spring in Lakewood Cemetery, Cooperstown. In lieu of flowers, please consider a memorial donation to the Carroll B. Lehman Memorial Science Award, c/o Cooperstown Central School, 39 Linden Avenue, Cooperstown, NY 13326.